Sometimes, before you even realize it, you have a new series of work. Yesterday, while I was working on a painting, it dawned on me that the last several pieces I’ve completed share a common theme – they are close up architecture works of windows, doors, and other details. It’s been a fun diversion from the more complete architecture buildings and I am looking forward to working in more of these. 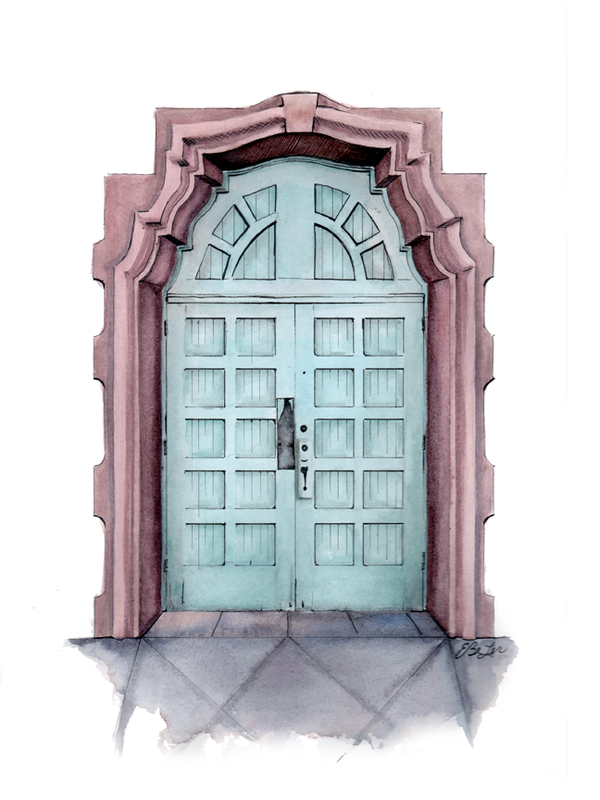 So I’m capping of January with the 6th of this new series – Entrance to St Thomas Aquinas Mission of the colorful entrance to the historic church (1919 according to the sign on the front) located across from the WigWam in Litchfield Park, Arizona. Time to reorganize the website!